"The whole experience of training with Ray was nothing short of professional excellence. Ray has a wonderful manner that he uses with his students. nothing is too much trouble and he explains everything so well and does not rush his students, often going over time. This is a instructor who enjoys his work ,seeing his students pass, and gives them help and encouragement to do well. I would highly recommend Ray as a instructor trainer. 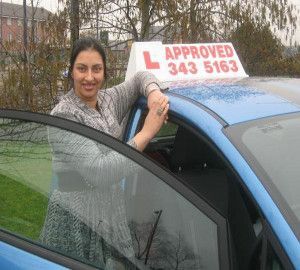 Thank you Ray for all your help, helping me to achieve my ADI licence." 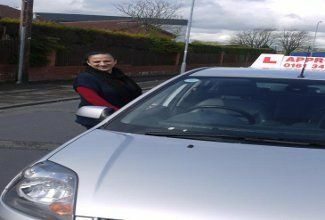 "Hi my name is Shakila, When I decided I wanted to become a Approved driving Instructor, I searched the internet for trainers to help me achieve my goal I spoke with several companies and was not happy with the way the training was structured , with a lot of the training being in the classroom and also two trainees in a car. So I then looked on the DSA website and found Approved, ORDIT registered I phoned up and arranged to meet Ray at my home. Ray didn't put me under any pressure to commit but explained everything to me about the way the course was structured and what most impressed was all the training was one to one basis. Within a week I decided to go with Approved. Shortly after starting my training I knew I had made the right decision, nothing was too much trouble for Ray. I have now passed my part 1 and 2 and will be taking my part 3 shortly. I can honestly say I am more than happy with Ray I found him patient, helpful and reliable and would defiantly recommend." "From the first time I met Ray at my home He made me feel completely at ease. Ray explained everything to me fully. But didn't put any pressure on me to sign up to the course and allowed me time to make up my mind. I made my decision to train with Approved. First step was the theory test Ray came to my house every week to coach and encourage me I passed with a very high percentage. 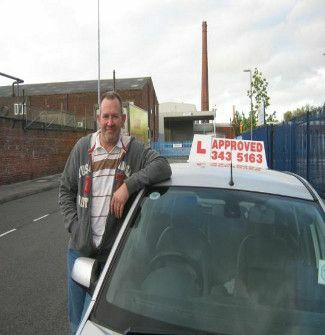 Second step is a driving test, Ray made the lessons enjoyable with his approach which was professional but light hearted. Step three is teaching, Ray's approach once again was of a very high standard. Ray isn't just a good Trainer, but I regard him as a good friend and hope our friendship continues for years to come. Thanks Ray." "Ray was very professional always understanding and very clear with what he wanted to teach. At times when I lost confidence with myself I always found Ray was there to give me that extra push and make me believe in myself. I always found Approved to be cost effective, before coming to Approved I did try other driving schools but often found my money would be taken, but wasn't taught to a high standard and at times my time would be wasted due to cancellations of training sessions by the trainers, this has never been the case with Ray. I recommend Approved to anyone who wants to become a Driving Instructor. 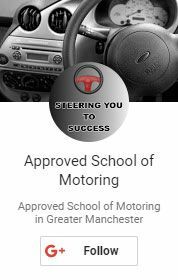 Also a couple of my friends have qualified through training with Approved school of motoring. I would like to say a big thank you to Ray and wish you all the best."